The studio’s work on the Southey and Owlerton Area regeneration spanned 5 years, working closely with local communities and agencies to develop a creative strategy to community led regeneration. The Regeneration Framework Document which received a National Guardian Newspaper Award in 2002. The partnerships extended to include working collaboratively with artists and facilitators to open up a dialogue between local people and professionals. Games and structured events are used to generate programmes, whilst new types of visual information test out ideas. The events became a focus for discussion. The process turned traditional methods of mapping on their head, taking what local people tell us about their neighbourhood over what professional analysis might tell us. The result celebrates the local and everyday and uses this to develop a series of principles that apply across the Southey Owlerton area. 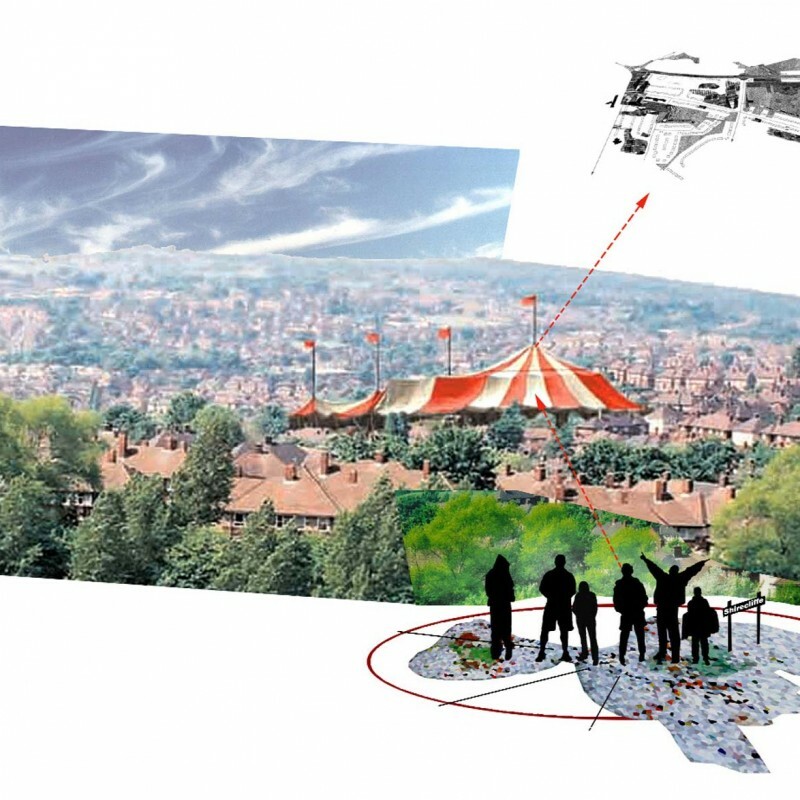 2001 – Developing a regeneration framework strategy for an area of North Sheffield with SOAR and Andrew Grant Associates, engaging with local communities throughout the whole process. 2002 – Design Statement Briefing Documents: To develop design guidance documents that provide site specific information as an extension of the Regeneration Framework. 2003 – Brownfield Site Analysis: To provide support during community consultations and develop new ways of mapping existing conditions and developing proposals for Neighbourhoods in North Sheffield. 2005 – Delivery of a lecture as part of the liveability study for the SOAR area.